If you haven’t heard by now, cultural diversity in the workplace isn’t just a nice to have, it’s essential. 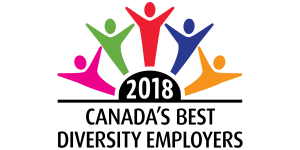 The importance of diversity and inclusion has been highlighted significantly in recent times by high-profile initiatives such as the Pay Transparency Act, which will be implemented by the province of Ontario in January 2019. Having a diverse workforce has many benefits, but implementing recruitment practices which bring it to life comes with it’s challenges. 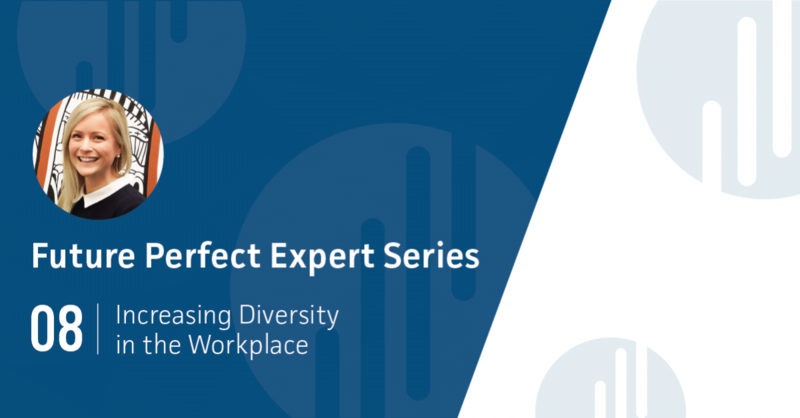 We recently spoke with Luca Patrk, Recruitment Team Lead at City of Vancouver, about how she and her team are working to create an inclusive workplace. Luca is a seasoned in-house recruiter with experience in a variety of industries, most recently in municipal government working with City of Vancouver. With a Marketing Diploma and a HR Degree, Luca finds synergy between the two and leverages them extensively in her work. What does it mean to have a diverse workforce? A diverse workforce means that we have people of all backgrounds and ideologies represented in the work we are doing; It means that our clients/the public can see themselves in us; It means that we have different ideas and viewpoints represented in discussions. Diversity to me means the differences between people, and inclusion means that we welcome those differences through our actions. Why do you think Diversity in the Workplace is so important? Diversity in the workplace is so important because it means we can elevate our current teams with difference backgrounds, experience and views. It means that we will also likely retain our talent for a longer time because we are allowing a safe and creative space with people of diverse backgrounds to come and share their ideas and do great work. 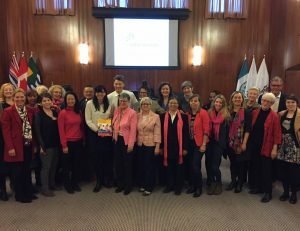 City of Vancouver employees celebrating the Women’s Equity Strategy’s approval in council. Visible diversity (race, gender) has been a focus for years, but we’re hearing more conversations around non-visible diversity (religion, neurodiversity, etc.). Are there any specific things to consider for non-visible diversity in the workplace? To ensure that we are practicing non-visible diversity practices, we are building it into our recruitment process. It starts with the initial intake meeting with our hiring managers. Asking and probing the right questions around current gaps, where we want to go with the team, what skills and backgrounds would disrupt and elevate the team. From there, we must continue the conversation, and ensure our selection process (resume, phone screen and interviews) has some sort of testing or verbal component where we can dig deep into the candidates skillset/background. Allowing a space where honest dialogue can occur, and even better, where the candidate can teach something new to the hiring committee is where I see non-visible diversity being represented. Its also a great way to showcase the value of a diverse workforce to the hiring team. What are the main goals for a Diversity and Inclusion program? There are a number of reasons including raising your talent benchmark, continuing education and finding your team’s passion points. We also can’t forget that in order for your organization to grow and become a leader in your industry and/or community, your clients must be able to resonate and see themselves in your brand. We must humanize the workforce, and diversity and inclusion programs do just that. What are some of the major benefits of having a diverse workforce? What are some of the challenges? Benefits:Diverse perspectives, higher quality product/services, openness for creative and innovative solutions, high productivity, broader range of skillset. Challenges: Finding talent, disrupting what could already be a high-functioning team, people resisters, conflicting work styles. What should be included in an effective diversity and inclusion program? It all starts with understanding your business and industry and catering your diversity program to that. Ensure that you are offering in-house or external programs/courses to not just your hiring managers, but to your entire workforce. A diversity and inclusion program is the responsibility of everybody in the organization. Build in accountability with your teams and talk about it regularly. It’s also important to have identified change leaders throughout your organization who advocate and educate and help answer questions that may come up in day-to-day work around diversity. An action plan needs to be created with clear goals based around organizational needs as well, which can be revisited and adjusted yearly, as business landscape changes. What are some simple, yet effective, methods of creating diversity in the workplace? Talk about diversity regularly. Once the conversation starts, you’ll be surprised to find it doesn’t end. Offer free online courses to your team around unconscious bias and workplace diversity. When hiring at the City, we build in diversity questions in the phone screens and interview guides. This helps us keep the conversation alive with the hiring manager, and lets our candidates know that we are willing to continue the conversation, even after being hired. Who should be championing these initiatives? Why is it important to have senior leaders involved? This is a hard question because I truly believe that all employees need to champion this initiative. But it does start from senior leadership, and leading by example. Having open dialogue around diversity and hiring and continuing education, whatever it may be. Showing that we will provide a safe and respectful workplace for people bring new ideas, conversations and backgrounds into play. A committee has formed at the City, represented by different levels of staff, leaders and departments, where they meet regularly to chat about the challenges and successes for the Diversity & Inclusion (D&I) initiatives and they are able to bring it back to the business as well. Tell us how you are implementing diversity into the recruitment/interviewing/hiring process at the City of Vancouver? The City has recently had a few ambitious diversity and equity strategies and goals that everyone is working hard towards making happen. The recruitment team specifically has started building in diversity and inclusion questions into our phone screens and interview guides. In our intake meetings with our hiring leaders, diversity and inclusion is also at the top of the list. And finally, we ensure that we have a diverse panel when interviewing candidates, not only around gender, but ensuring that different stakeholders from other departments are represented as well. This allows for meaningful discussions with the candidate and when we debrief and begin our selection process. 1. What is something a company can do right now to improve diversity in the workplace? Begin the conversation – its that simple. You’d be surprised to see how many people will want to participate and even champion an intuitive like D&I. 2. How can you measure the results of your initiatives? There are the conventional metrics, where people can self-select around race, gender, persons with disability, etc. Some other good things to measure would be to follow the succession and progress of your employees (monitoring promotions, movements), turnover etc. 3. How do you sustain the effectiveness of a Diversity and Inclusion program? D&I programs need to be built into the culture and what the organization stands for. Starting a program and leaving it alone is not going to make it successful. Make it a daily conversation, revisiting regularly to update it based on the changing workforce. 4. What is the most important thing to remember about diversity in the workplace? Diversity isn’t just what what’s visible to the eye, but just as important is what you can’t see. 5. Any resources you wish you had, either earlier in your career or now? I wish D&I was built into my undergrad. And it would have been nice to see D&I work teams built into past organizations I worked for.